Sometimes an obscure patch shot slips through the cracks of the myriad listings on ebay. 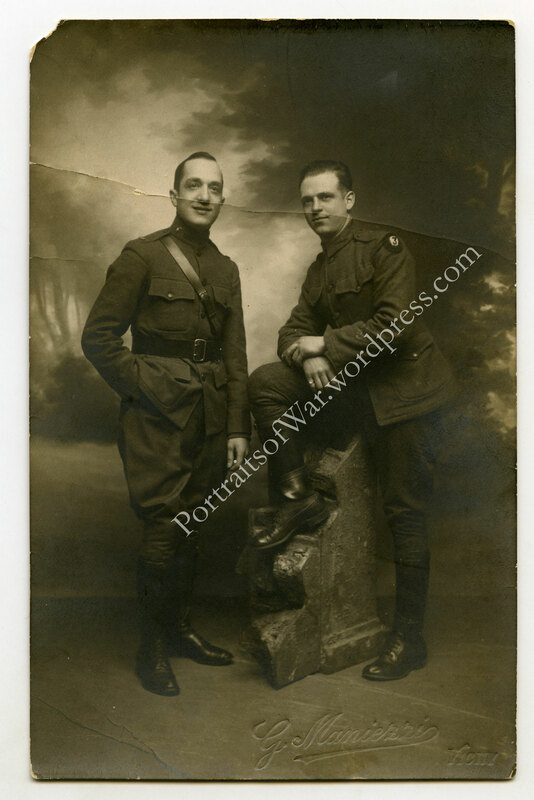 In this case, I picked up a VERY rare shot of two members of the 255th Aero Squadron, 3rd Air Park of the 2nd Pursuit Group posing in a Vichy, France studio. 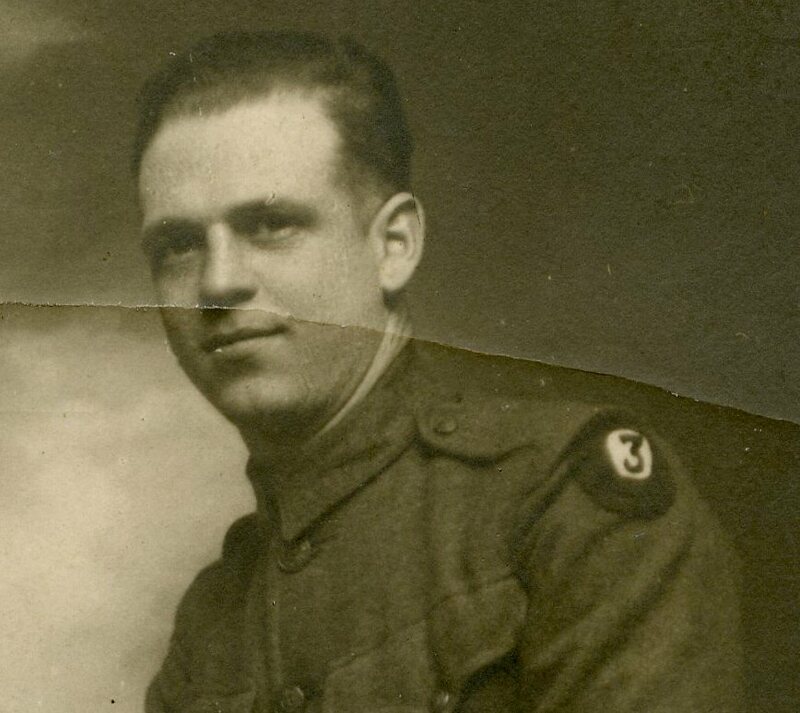 I’ve only seen two or three photographic examples of the 3rd Air Park shoulder patch insignia (SSI, remember?) in wear before. This is a spectacular example, save for a minor fold and a small tear to the corner. For future reference, the 3rd Air Park patch resembles #3 billiards ball on an underlain circular patch. Very nice, there’s definitely something special about old photos like that.